A bench comprising Chief Justice Ranajan Gogoi and Justice SK Kaul said the plea would come up for hearing in due course and refused to grant urgent hearing to it. The Supreme Court Monday declined urgent hearing of a plea seeking linking of Voter ID cards with Aadhaar numbers to curtail bogus and duplicate voting in elections. Advocate and BJP leader Ashwini Upadhyay, who has filed the plea, sought its listing and referred to the top court's earlier order of February 20, 2018 by which he was assured hearing on it after the pronouncement of the verdict on pleas challenging the constitutional validity of Aadhaar scheme. "Let the matter be listed after the judgment in Justice KS Puttaswamy (Retd) and Another vs Union of India (Aadhaar case) ...is pronounced," the bench had said. The plea has sought direction to the Election Commission to take appropriate steps to implement an ''Aadhaar based election voting system'' to ensure maximum participation in election and curtail fake, bogus and duplicate voting in the spirit of section 17-18 of the Representation of People Act. It has also sought a direction to the centre through Ministry of Law and Justice to take appropriate steps to link movable and immovable property documents of citizens with their Aadhaar number to curb corruption, black money generation and ''benami'' transactions. Direct the Election Commission of India to take appropriate steps to link the election identity card of the citizens with their Aadhaar number to curtail fake, fabricated, and duplicate votes, it said. "The current system is better but not the best. 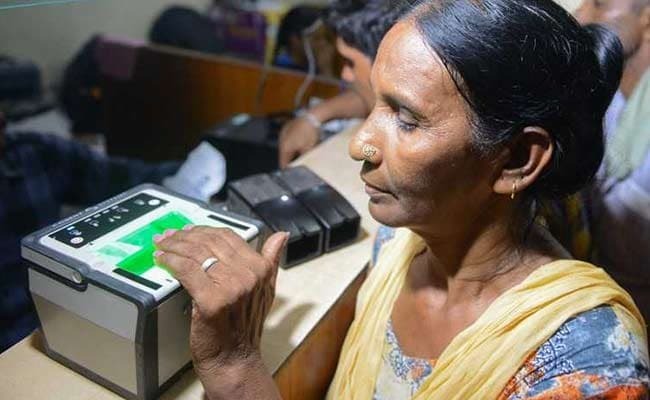 Aadhaar based election-voting system has more authentication of voters, better security of voting process, it can protect the voted data and most importantly, the voter can cast his vote from any corner of the country," the plea said. The proposed Aadhaar-based voting system involves recording the fingerprint of the voter in the government's database with an individual's Aadhaar number, the petition said.